It is with sadness and appall that we all watch the marvelous cathedral of Notre Dame in flames. Thank goodness that reports are no lives are lost and that some of the structure will be saved. 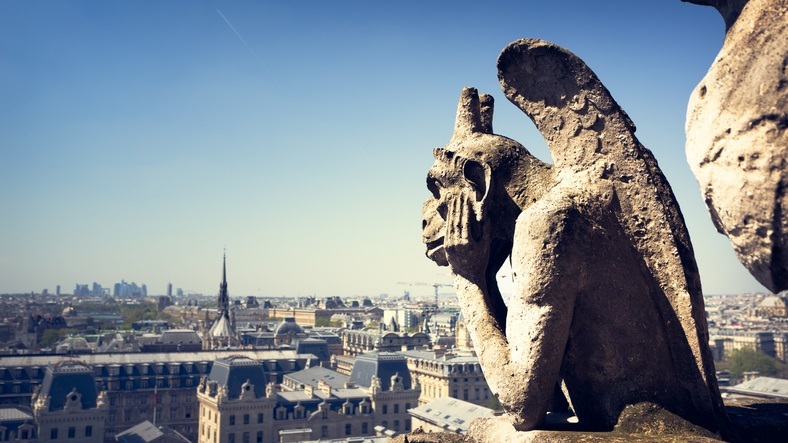 Notre Dame is over 800 years old – construction began in 1163 under King Louis VII and finished almost 200 years later. And while organizations may not necessarily have that same length of construction, they do take time to build – and they can come crashing down just as quickly. The fire at Notre Dame is devasting to our human history – and there is truly no comparison to anything in recent history. There are, however, things we can learn from this tragedy. During its history, Notre Dame fell into disrepair, was restored, was threatened by war – and now the flames. Firefighters in Paris are working to preserve history. Notre Dame has been a symbol for centuries. It’s incredibly sad to watch hundreds of years of history disappear in flames. To think that the greatest of humankind likely spent time marveling at this Cathedral – that visitors like Marie Antoinette, da Vinci, Madam Curie, Van Gogh, Ada Lovelace, Edison, Einstein, generations of leaders – all spent time visiting this amazing place – and now we watch the building struggle amidst flames and witness its rapid demise. And maybe it’s too early to reflect on lessons learned – but it struck me that as an institution, as an organization, while we can’t necessarily install a sprinkler system, we can save the artwork inside. We might go through a reorg and an organization may fall, but the people inside remain and we can save their artwork, even if the org disappears. When we think about great teams – or great buildings - we can respect history. Organizational transitions are challenging – balancing the old with the new – but we are reminded today of the importance of history – respecting institutional knowledge and how history plays a role in the future. HR professionals have a role in helping with the transition from old to new. To preserve history while helping to rebuild. What is happening in Paris is a devasting blow to human history. As a society, we all must take time to reflect – and find our own lessons from this tragedy. Down the road, I think we all can learn a lot – and use the lessons from this sad day to help us build strong organizations in the future. The flames may take the structure, but they will never take the spirit. Nothing is permanent, but strong structures will survive catastrophes. Strong organizations will survive cutbacks, reorganizations, new hires, new charters – organizational changes. It’s incumbent on HR professions to be the stone infrastructure that outlasts and allows organizations to survive catastrophes. Let us all take a moment to send our best wishes to those working to save – and restore – Our Lady Notre Dame – and let us all learn from this…. It’s important to preserve history while building for the future.